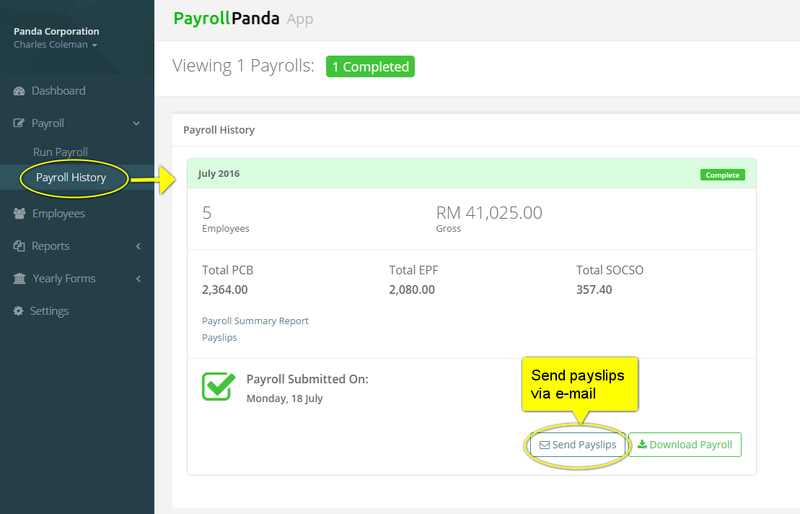 PayrollPanda — How can I send payslips to my employees? Help Center Home App How can I send payslips to my employees? There are four ways that you can access and send your employees’ their payslips. 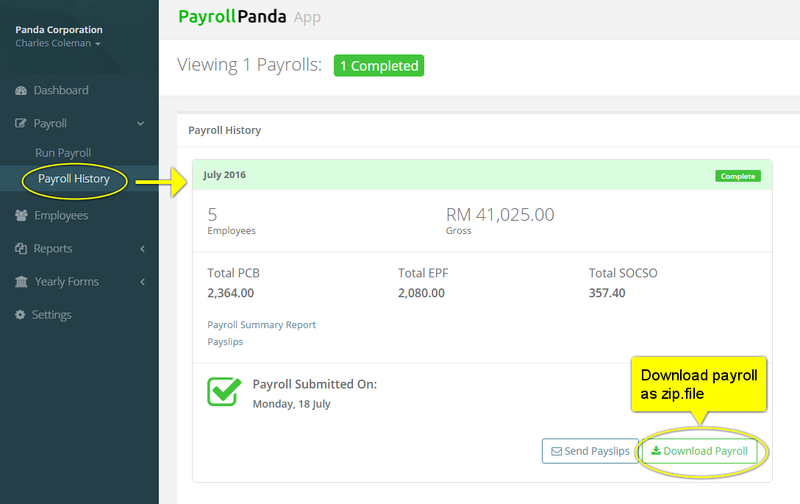 You can email the payslips directly from the PayrollPanda app to your employees under payroll history. The payslips will be sent in PDF format. Make sure that each employee&apos;s email address is entered correctly into the “Personal Info” section in their employee record. You can give employees access to their own payslips by inviting them to use the app. This can also be done in the employee record. A third option is to download all your employees payslips as a single zip file and then give them a printed copy. You can alternatively download the individual payslip from each employee’s record.